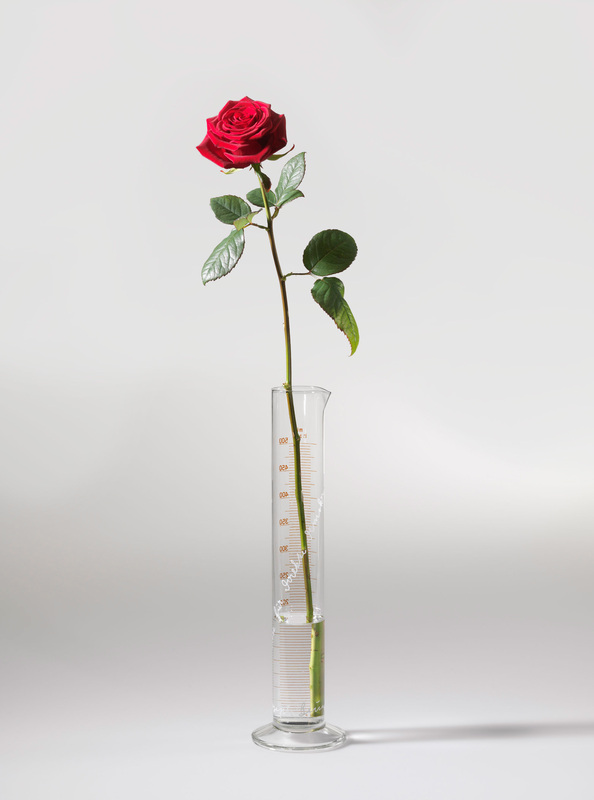 Rose for Direct Democracy | Ich bin ein Sender. Ich strahle aus! | I am a sender. I transmit! Graduated glass cylinder, with inscription. 33.5 x 5 cm dia. 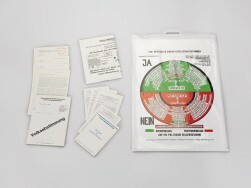 At the documenta 5 exhibition in Kassel, West Germany in 1972, Beuys established a ‘political bureau’ for the Organisation for Direct Democracy Through Free Collective Referendum, a group he had recently co-founded. Throughout the hundred days of the exhibition, he spoke and debated with exhibition visitors, putting forward his ideas for reshaping society through creative activity. 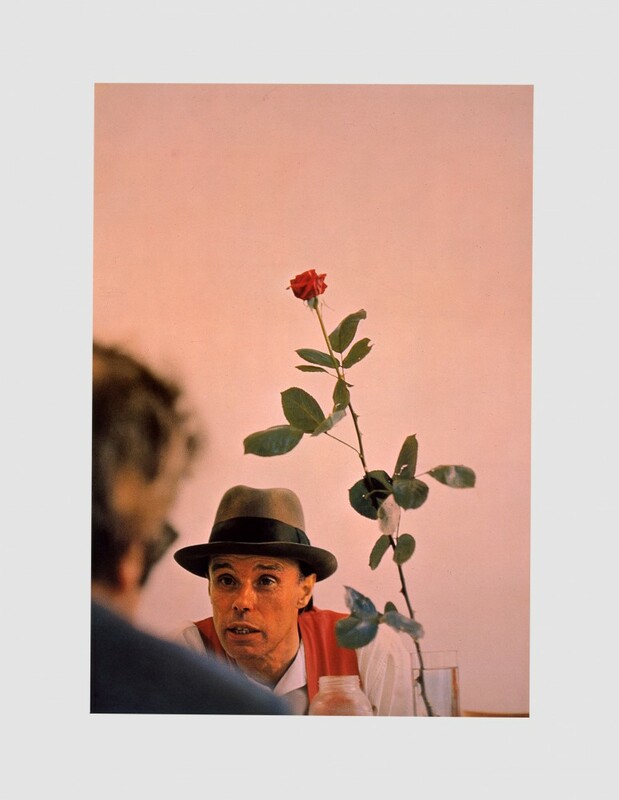 Though his proposals were often radical, Beuys worked hard to distance himself from groups like the Red Army Faction (R.A.F.) 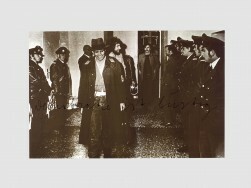 in West Germany and the Red Brigades (B.R.) 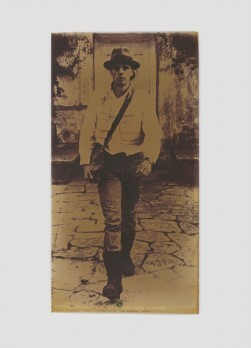 in Italy, who at this time were advocating violence as a means of achieving social revolution.1 In contrast to this position, Beuys emphasised his wish for a more peaceful, evolutionary route to societal development.